“It’s in the Cards” is a monthly video series from Harland Clarke. Co-Hosted by Paulette Courtney and Mike Schultz, both sales engineers for the Card Services team, the series covers card and payment trends and breaks down what these trends mean for the card services industry as a whole. The second episode is a lot of fun, as Mike and Paulette chat about generational payment preferences and how they each prefer to use debit and credit. Check back every month for the latest installment. 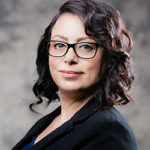 Our hope with this series is to provide interesting thoughts, advice, and takes on relevant cards industry news from two of the leading subject matter experts on this topic at Harland Clarke. 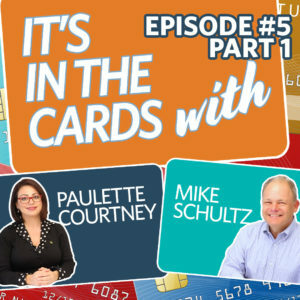 In the latest episode of "It's in the Cards," Paulette Courtney and Mike Schultz discuss how financial institutions can remain top of wallet in a competitive environment. Today we’re excited to unveil our latest Harland Clarke video series, It’s in the Cards, featuring Paulette Courtney and Mike Schultz, both sales engineers for the card services division of Harland Clarke.